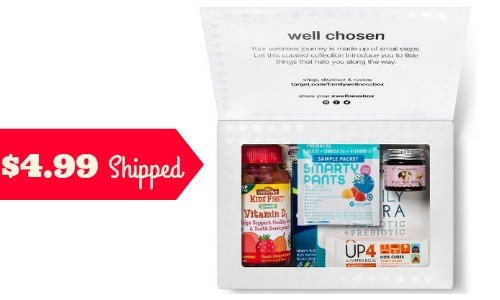 Check out this deal on the Target Wellness Family Box! This box is $4.99 shipped, a $45 value with tons of health items to try. It’s a great way to try new products, but don’t wait because these boxes tend to go quickly at this price! Offer valid through 11/22. Shipping is FREE.